The documentary was first broadcast last year and was produced in close collaboration with the Portus Project. In the first few months of 2014 we will be releasing free learning materials that include broadcast and additional footage from the Rome’s Lost Empire documentary. We are very keen to share the experience we have working at Portus and on the material recovered from the site. Using a variety of learning technologies and by providing access to research data created by the Portus Project we hope to give everyone the opportunity to uncover Roman history for themselves. Sign up for the Portus Project Newsletter in order to be kept up to date as these are made available. We will also be providing a more formal online learning experience in 2014 via the Portus MOOC. The @portusmooc will be run with @futurelearn and will launch next year. You will be able to register from early in 2014 and should sign up for the Portus Newsletter and follow @PortusMOOC for updates. The MOOC will last six weeks with three hours content per week, plus optional study. It will focus on how we work at Portus and what the site tells us about the roman Mediterranean and imperial Rome itself. 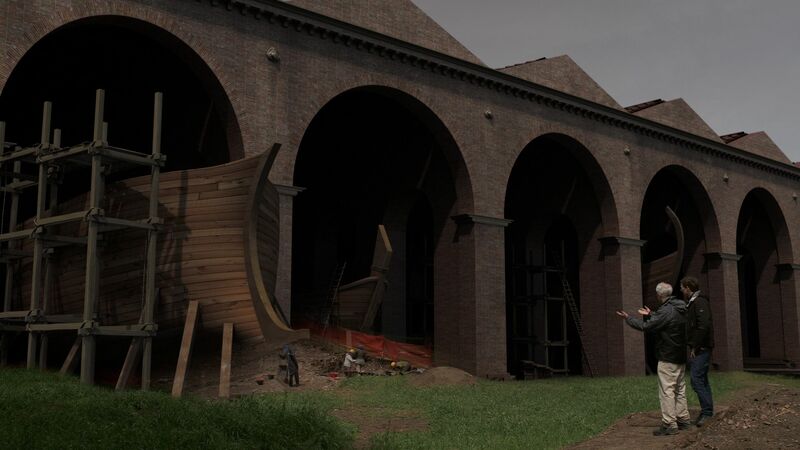 The MOOC will provide access to Portus Project research data, which was funded by the AHRC and the Soprintendenza Speciale per i Beni Archeologici di Roma. In this way the MOOC will encourage real archaeological activities by learners. The MOOC will reflect the international collaboration and funding of the Portus Project, including the latter’s close links to Italian institutions and The British School at Rome. We also hope to organise one or more events at the University of Southampton and elsewhere to allow MOOC participants to meet with other students and the people developing the MOOC. Viewers of the documentary, and participants on the MOOC or in our other online learning activities can also apply to attend the Portus Field School.